This is artbook chockful with art, however, the artworks do not not evoke a sense of marvel in me for some reason. About 90 per cent of the artworks featured are for environment art. Places included are for Shanghai, the naval battle, airfield, prison, mountains, Dam City, Suez and a small portion for multiplayer. The setting is pretty much urban in cities with buildings with occasional breaks into the sea and mountains. There are only a few pages of character design and they are of course soldiers decked out in full military gear. For a game with military elements, there are strangely no designs for any weapons and vehicles. Zilch, unless you want to count the arms that the soldiers carry in their hands. No 3D models or renders. The uniforms are quite cool though. Can't imagine how soldiers actually move while carrying so many stuff that weigh them down. The environment art felt very clinical. There are detailed as well as rough pieces. Many, I think, are digital painting over 3D models, not a style that I'm fond of. Lighting, atmosphere, textures and details are all captured well but something just do not feel right. Comparatively, I like the rougher pieces, such as those of battleships, or just anything that does not feel like they are painted over 3D models. 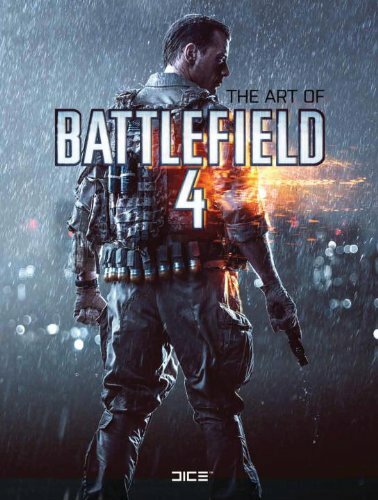 One interesting thing to note is they had only one concept artist for Battlefield 3 and five for this sequel. My main gripe is on the style of the environment art. You might like it, you might not. So I'll definitely recommend that you look through the pages before buying. There's also a limited edition of 500 copies. This features a different cover plus slipcase, and one single print called Shanghai Riot signed by Robert Sammelin.